With the abundance of restaurants in Downtown Los Angeles, it is easy to find anything your taste buds desire. We have it all, whether it’s a burger, a salad or one of my personal favorites, pad thai, I can get anything I want during lunchtime. But something was missing. I yearned to find a place to take me back to my mother’s kitchen. 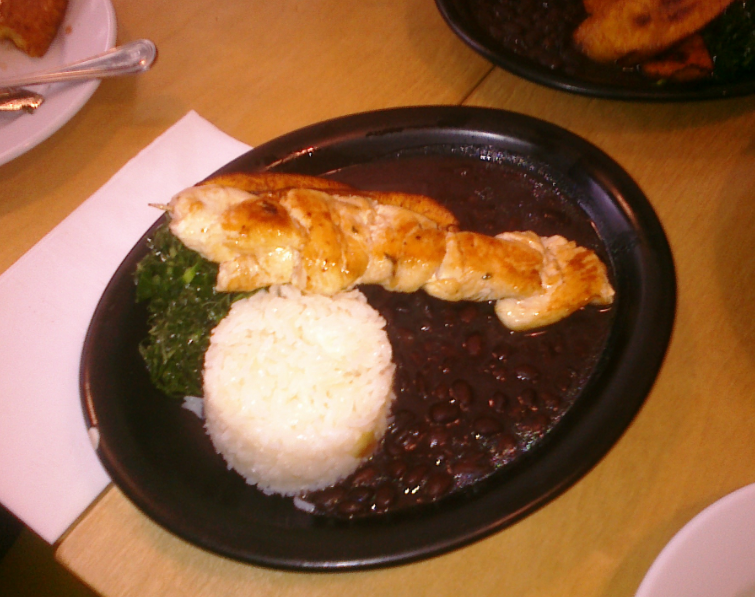 I dreamed of finding a place where they served coxinhas, croquetes, and Brazilian style rice and beans. I thought I would never find a place close to work until I stumbled upon Wood Spoon! A small restaurant nestled on the corner of 9th street and Main, the restaurant made me feel as if I was walking into my grandmother’s kitchen. The owner/chef/hostess Natalia treated me as if I was a regular even though it was my first time there and best of all, they had all the foods I missed the most. I indulged in some croquetes and coxinhas along with a calabreza salad and some chicken, rice, beans and collard greens. To drink, I had coconut juice inside a coconut. The whole time I was eating I swore I was in Brazil! I also had the chance to speak to Natalia. She has no website or advertising but people seem to be interested in trying Brazilian food. The word-of -mouth has definitely worked for her Wood Spoon has celebrated its third anniversary and Natalia plans on opening a second location sometime next year! You are currently browsing the speakout blog archives for December, 2009.